West Bend Stir Crazy Corn Popper In Green Only $19.99! You are here: Home / Great Deals / Amazon Deals / West Bend Stir Crazy Corn Popper In Green Only $19.99! Yummy popcorn and a movie is a classic combo! Create your own date night or movie night at home and make some fresh, better-for-you air popped popcorn! 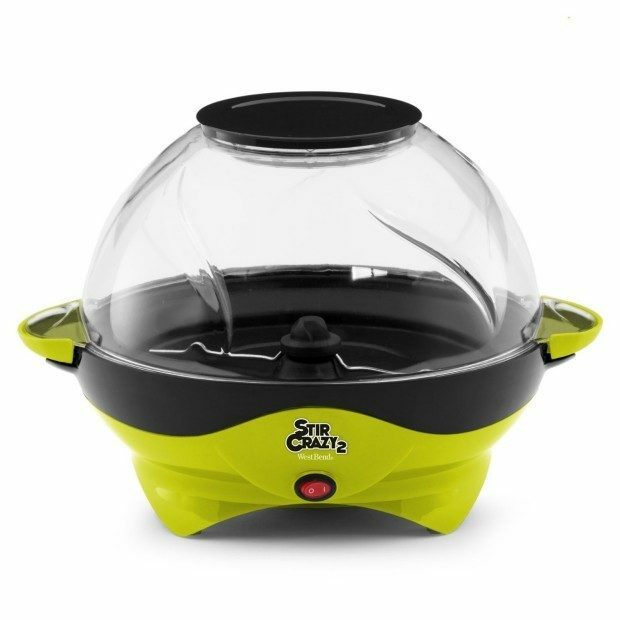 This popper pops 6 quarts of popcorn and the lid acts as a serving bowl! Get the West Bend Stir Crazy Corn Popper In Green for Only $19.99!